We cultivate Red Reishi (Ganoderma Lucidum) and supply it in dry form, powder form and Capsule form. In order to keep pace with the never ending demands of customers, we are involved into offering Reishi Mushroom (Ganoderma Lucidum). 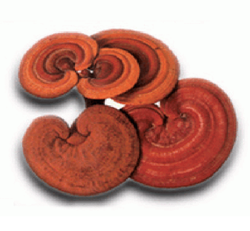 We are leading Manufacturers and Suppliers of Organic Ganoderma lucidum (red reishi) Mushroom at large scale. Our range of Mushroom includes Ganoderma Fruitbody, Ganoderma Strips, Ganoderma Powder, Ganoderma Spore Powder, Ganoderma Extract, Ganoderma Mini Fruitbody , Ganoderma Spawn /Seed and Ganoderma Compost. 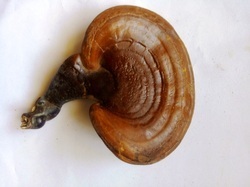 : Ganoderma is a kind of mushroom which has high ranking in the world of fungi. Few centuries, the Chinese regard it as "King of Herbs" for its excellent effect in aiding, assistng or helping in the maintenance or improvement of general well-being. Aaryaa Green Planet Pvt Ltd.